Hello, my name is David Twine, a member of Hampshire UFO Group. (www.hufog.co.uk) based near the city of Portsmouth. During a group sky watch on the evening of Saturday 9 April 2016, nearing midnight on a cold, clear night, the 4 of us witnessed the following orange coloured craft/orbs recorded on film, initially seen by naked eye, then viewed through binoculars. Our location was a former Royal Air Force station called Stoney Cross, near junction 1 of the M27 motorway, Cadnam. We were looking due North from our view point when the formation of objects came into view, travelling left to right. They were recorded with zoom function activated, in black and white with no sound heard or recorded. First reports of these craft during their transition of Southern England airspace began over Mevagissey in Cornwall, then travelled east 185 miles towards Oxfordshire, (approx 50 to 80 miles north of our location), continuing across Northamptonshire and on towards Bedfordshire. To view the full 5 additional reports of this sighting, please go to B.E.A.M.S. 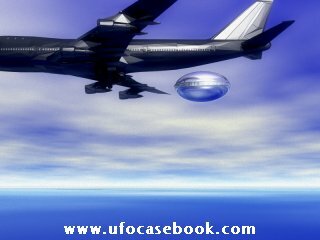 UFO, THE BEST OF BRITISH AND OVERSEAS UFO REPORTS, click on ARCHIVE P1, and read all reports dated 09.04.2016. Freedom of Information Request letters were later sent by our team leader (hufog) to the Civil Aviation Authority and the Ministry of Defence for any information regarding this event with replies to the negative, no surprise there then! During our footage at the 4.38 time section, a jet aircraft can be seen from lower right to left, riginating from the London Terminal Control Sector. The pilots and/or passengers must have seen these craft, and been tracked on radar? Please view the footage (seen below) many times on full screen to appreciate fully, and I welcome your thoughts by way of reply. PLEASE share this with as many people as possible,as we really need to know just what was transiting Southern airspace that evening. So,go to YOUTUBE, type in, ”3 ufos in tandem very odd flashing patterns“ and sit back and enjoy the best 11.51 minutes of UFO footage ever. Thank you for your interest, my best regards, Dave.